I was more saddened than angered when I learned that the North American Board of Trustees of the Union for Reform Judaism had condemned Israel's plans for construction in Jerusalem and the E1 area, because it highlights Israel's failure to adequately explain our position even to American Jews. Were Jews at grassroots level better informed of the facts, no Jewish leadership group would have dared to adopt such an approach. Former prime minister Ehud Olmert's false and outrageous outbursts in the US, even stooping to accusing Prime Minister Binyamin Netanyahu of initiating this move solely to humiliate President Barack Obama, undoubtedly contributed to this in no small measure. Olmert was supported by the far Left former American Jewish ambassador to Israel Dan Kurtzer, who dismissed the Israeli initiative as a crude effort to garner votes in the forthcoming elections. I would wager that the vast majority of American Reform Jews are unaware that the ongoing hysterical condemnation of Israel over settlements relates to no more than two percent of the territories. Or that much of the housing construction planned is merely catering to natural population growth of existing settlements. Or that the construction currently being condemned is limited either to suburbs of Jerusalem or within the framework of the agreed settlement blocs that every peace plan assumes will remain within the borders of the Jewish state. The E1 area comprises 12 square kilometers and is adjacent to Ma'ale Adumim, a city inhabited by 40,000 Jewish residents located just four miles from Jerusalem. That this city will remain within the boundaries of Israel was reaffirmed by every political leader including Yitzhak Rabin (who at the outset of the Oslo accords even provided the mayor of Ma'ale Adumim with annexation documents for E1), Shimon Peres, Ehud Barak, Yossi Beilin (the architect of the Oslo accords), Ehud Olmert and Tzipi Livni. In the course of the Camp David Accords, president Clinton also endorsed the area as being within the future boundaries of Israel. As a quid pro quo to prime minister Sharon's 2004 unilateral withdrawal from Gaza, the Bush administration agreed that taking into account demographic changes, areas encompassing the major settlement blocs would be retained by Israel. However, this was indirectly challenged by President Obama in his May 2011 speech which called for the 1967 borders plus swaps as a starting point for negotiations. But anyone seriously involved in Middle East affairs understands that these areas can never be separated from the Jewish state. The Palestinians and other international critics falsely insist that by adopting this path, Israel would deny contiguity to a Palestinian state. This is untrue. The government has provided for a bypass road to be accessible at all times, guaranteeing Palestinians right of passage throughout the area. For over 10 years, Israel deferred to international requests to delay construction in the area in order to appease the Palestinians. But even after Netanyahu's unprecedented and unconditional 10-month settlement freeze, the Palestinian Authority still refused to negotiate with Israel. Instead, PA chair Mahmoud Abbas continued to incite hatred against Israel, even denying any Jewish connection to Jerusalem. After he defiantly abrogated the Oslo accords by promoting UN recognition, the Israeli government felt that it had waited long enough and decided to proceed with the long-delayed construction in this area. In the particularly volatile and hostile environment which surrounds us, one might question the wisdom of the government making needlessly provocative proclamations about these issues rather than proceeding quietly and dispensing with such strident advance announcements. And the issue should be presented as reflecting Israel's legitimate national interests and in no way an obstacle to establishing a Palestinian state. It is certainly wrong and conveys a false message if portrayed as a punishment for the misbehavior of the PA. BUT IT would probably not have made the slightest difference. Most of the international community, especially the Europeans, were relieved to distance themselves from the supportive role they were recently obliged to assume toward Israel by endorsing its right of self-defense in the face of Hamas rocket attacks. Even then, many remained critical, accusing Israel of employing excessive force and failing to respond proportionately. They were also visibly overjoyed to draw closer to our "moderate peace partner" the corrupt Mahmoud Abbas, who at the UN received standing ovations from virtually the entire gathering after delivering a speech replete with lies and hatred designed to demonize us. 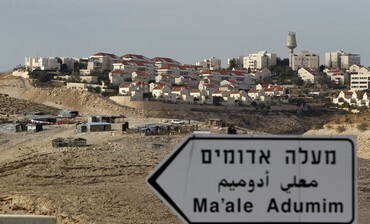 The hysterical condemnation of the Jewish state for approving home construction in an area adjacent to its capital, on barren, uninhabited land which neither displaced Palestinians nor altered the demography of the region, is bizarre. No distinction is made between housing construction in outlying settlements  which the government has restricted  and the major settlement blocs which will unquestionably remain within the boundaries of Israel. Double standards are shamelessly applied. 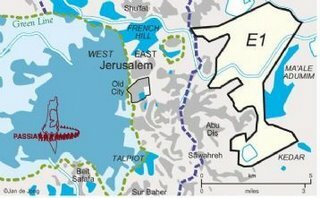 Nobody takes into account that two successive Israeli prime ministers effectively offered the Palestinians over 95% of the disputed territories but were rejected. The Quartet undertook to guarantee implementation of the Oslo accords, yet aside from the United States, all its members abandoned Israel by abstaining or voting in favor of the PA abrogation. In so doing they repudiated UN Security Council resolution 242 and actually rewarded the PA for materially breaching its commitments. During the Gaza conflict the Western powers called continuously on Israel to act proportionately. But there was no such proportionality in relation to their condemnation of Israel over the construction issue. No indignation was expressed during the years when missiles were launched against our civilians. No criticisms were voiced against the PA and Hamas for inciting against Israel or of their sanctification of "martyrs" who murdered Israeli women and children. No country condemned Abbas  who accuses Israel of "ethnic cleansing"  for proclaiming that not a single Jew will be permitted to live in a Palestinian state. The international community responded with a greater uproar against Israel home construction than to the ongoing, obscene atrocities committed by both parties in the Syrian civil war. Little was said when North Korea breached its undertakings and renewed the testing of international missiles. When Egyptian President Mohamed Morsi sought to impose dictatorial rule in his country, there was barely a murmur of protest. Surely the application of such double standards by the international community toward Israel amounts to ignorance, hypocrisy, double standards or a combination thereof. With the existential threat looming from Iran's efforts to obtain a nuclear bomb, there is indeed a desperate need for us to reverse the tide flowing against us in the war of ideas, gain support internationally and strengthen our standing with our most important ally, the United States. However, Jerusalem and Ma'ale Adumim and the major adjacent settlement blocs will remain part of Israel and this is one issue concerning which we must remain steadfast. And we cannot be expected to freeze construction indefinitely because the Palestinian Authority leaders refuse to negotiate while they proclaim a willingness to unite with the genocidal Hamas, whose leader Khaled Mashaal only a few days ago again publicly reiterated his pledge to wipe away the Jewish state through military action. Some of the comments that added useful information. Just allow unlimited Jewish building in certain areas without requiring prior bureaucratic approval. That way, without any public announcements being made, it will be more difficult for Israel's enemies to raise a lot of noise about the issue. If Israel wants International approval and respect, we need to Stop Apologizing as though we are guilty of something; we must fight This War we are in, militarily and verbally, boldly and strong; and we Must Go on the Offensive, taking back complete control of Samaria, and soon Judea. The "international community" is weak and cowardly. They respect only power and might. And they all understand, deep down, that Israel is Good and the Arab World destructive. We must show that we believe this, too. It doesn't matter what Israel says, does or proves. If the Pals said the world was flat, and it was Israel that did it, the UN would unamiously condemn Israel. Unfortunately for Israel its politicians live in a time warp and are incapable of making decisions without the nod from their American benefactor. So much for patriotic honour and integrity. But then if we look back in history and the dispersal of our people it is no wonder that we Jews became accustomed to being made scapegoats for superficial religious reasons. It was only due to those honourable and courageous pioneering Jews who fought for and made the ultimate sacrifice for the re-birth of our ancient homeland Israel that our diasporic brethren could hold their heads up with respect. What Israel badly needs today are politicians with the strength of character and the spirit of Judah Maccabeus and those of his ilk.